A Bing sitemap is best way to tell Bing Search about your blog and it’s content. Here is how you can submit your blog sitemap to Bing Webmaster Tools. 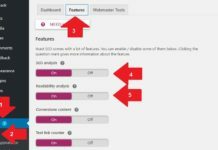 The sitemap submitted to Bing Webmaster tools of your website tells Bing to index your blog post whenever a new page is added to your blog. 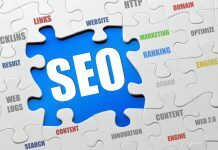 After creating a Website the first thing you should do is submit a sitemap of your blog to some major search engines like Google, Yahoo and Bing. Follow the instruction below to add sitemap to Bing Search. Sitemap is a directory of your web pages existed on your blog/website. A Bing Sitemap too is a XML sitemap like Google Sitemap. Because all major search engines support Google’s Sitemap protocol. So there is no need to create different types of sitemaps for different serach engines. This bing Sitemap helps Bing search crawlers to access your web page and index them. 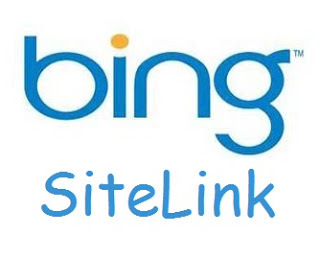 So it’s good idea to submit sitemap to Bing Webmaster tools to index your blog post Bing and Yahoo search engine. There are four types of Sitemap Bing search engine support. IF your blog on WordPress you need to install a XML Sitemap generator plugin to create a sitemap file of your blog. If your blog on Blogger you need to create sitemap manually for your blogger blog. Here is how How to create sitemap for Blogger blog. Once you have created sitemap for your blogger or WordPress blog now you need to verify your blog on Bing Webmaster tools to submit sitemap. Visit Bing Webmaster Tools page and register an account. Skip this step if you already have a webmasters tools account on Bing. <Link>. Once you have created your account, Login to your Account. Now enter URL of your website and click on “Add” button to add your blog/website to Bing Webmaster tools. See the picture below. Now you need to verify ownership of your blog. I recommend you to verify your blog by adding meta description to your blog. Now copy the given meta code and add it to your website. The code will be looks like this. For blogger user edit your Blogger template and add this code just after <head> tag. For WordPress user add this code to head section of your theme editor. Once you have added meta codes to your blog/website now come to your Bing Webmaster tools account go to “Verify Ownership” window. Now click on “Verify Button”. A verification message will show that you have successfully verified your site to Bing Webmaster tools. Now you will see your site has been added to list of website you have submitted to Bing search engine. As your site now has been verified in Bing Webmaster tools, Now you can submit sitemap to Bing Webmaster tools. Here is how you can submit sitemap to Bing. Click on ‘Sitemap’ under Configure My Site section. A new page will open about Sitemap. 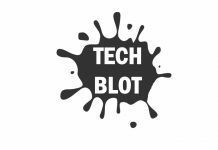 Now add your blog sitemap in the text box Submit a Sitemap and click on “Submit” button. See the below picture. Once you have submitted sitemap A message will be shown your sitemap has been submitted. Cheers! You have successfully submitted your blog sitemap to Bing Webmaster tools. This is all about how to submit your blog sitemap to Bing Webmaster tools. It’s so easy to submit your blog sitemap to Bing/Yahoo and it takes very few minutes. Hope you like this tutorial and may it works for you. If you are still facing any issue and have any suggestion on, Submitting sitemap to Bing search engine, Feel free to share them via comment box below.